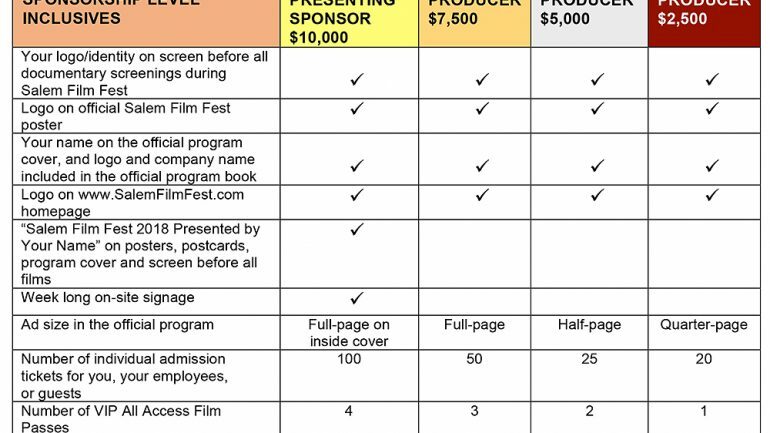 Contact Sadry at sadry@salemfilmfest.com if you have any questions or to confirm your sponsorship level today! 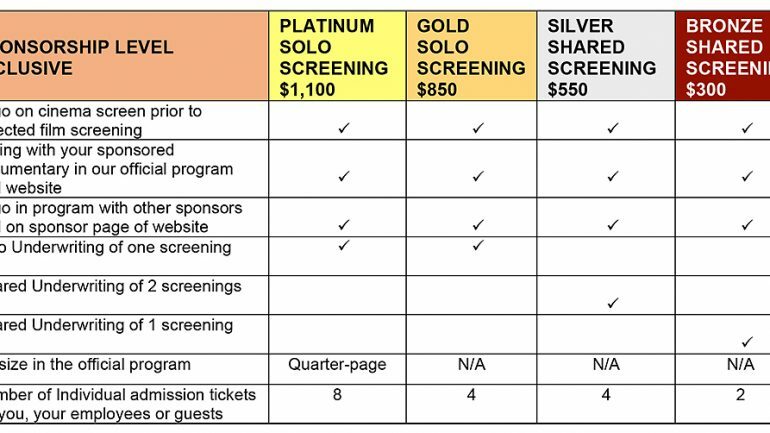 Award Level Sponsorship – A new category of sponsorship for 2018! For the first time we are offering the opportunity of naming rights to our awards. Sponsor’s name will be listed on the actual award (an original artwork by a local artist), in our official program, and on social media mentions. 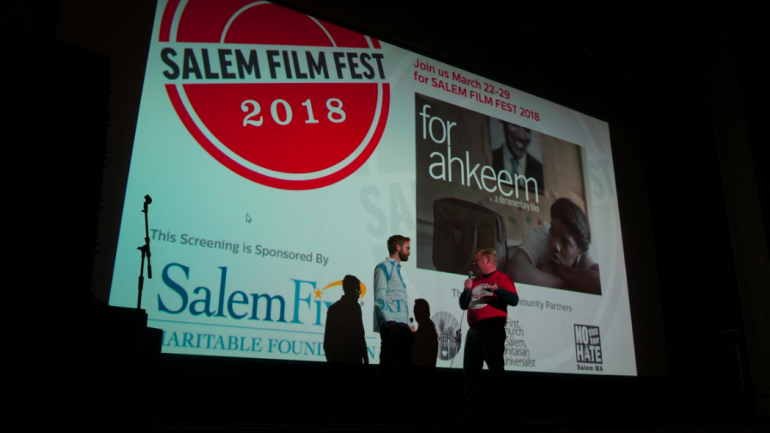 A representative of the sponsor can present the award after the film’s screening at the fest if the filmmaker is attending. Your contribution pays for a local artist to create the award trophy, a stipend to the filmmaker, and a tax-deductible contribution to SFF. Presented to a notable filmmaker for their body of work as a documentary storyteller. Award voted by a jury of film industry professionals and media members. 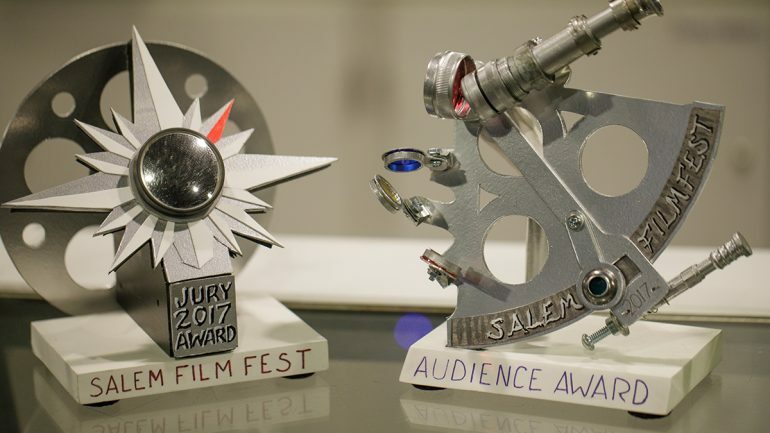 Award voted by the Salem Film Fest audience. Award voted by a jury of editing professionals. Or Download the Sponsor Form now!